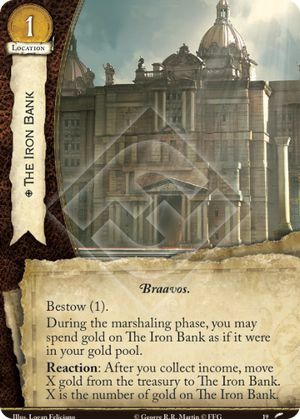 During the marshaling phase, you may spend gold on The Iron Bank as if it were in your gold pool. Reaction: After you collect income, move X gold from the treasury to The Iron Bank. X is the number of gold on The Iron Bank.